Blek’s first stencils were black rats, seen to be running along the walls throughout the centre of Paris. The rat, also an anagram for ‘art’, is in Blek’s mind “the only animal to survive the apocalypse“. In 1983 Blek began to paint life-size stencils, which alongside his rats, have become his trademark and have influenced generations of street artists around the world. Blek considers his images as gifts to the cities of the world, raising awareness of social issues. His heroes are solitary individuals crossing through the urban space – women, children, the elderly and other contemporary figures in an urban city. 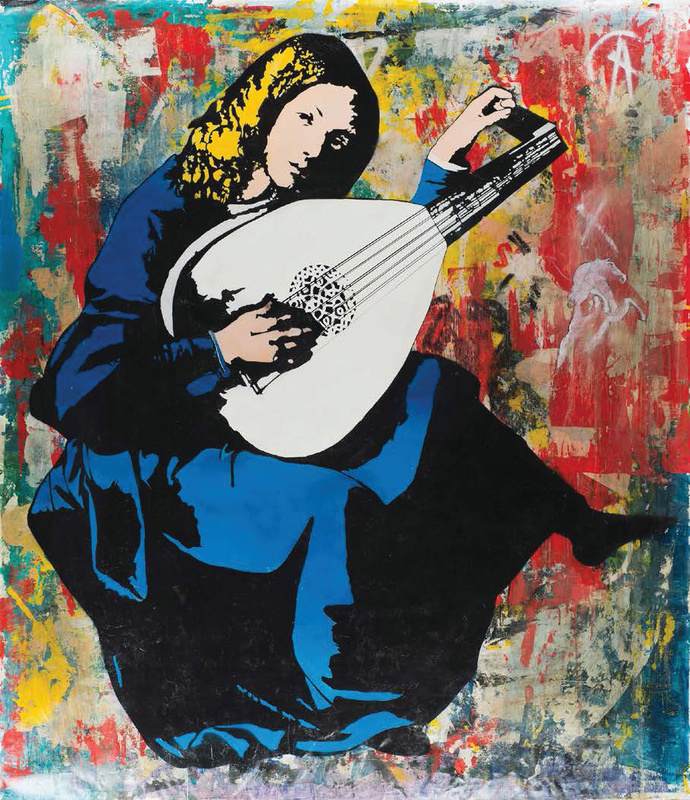 Dedicated to the idea of bringing art to the people, Blek often quotes the old masters like Caravaggio, Michelangelo, Guido Reni and Leonardo da Vinci. “I want the characters of the paintings to walk out of the museums to give them back to the people of the city” he says. In the mid 2000s, Blek’s work evolved to become more overtly political. Following the kidnapping of French journalist Florence Aubenas in Iraq, Blek pasted hundreds of prints of her image around Paris. Her portrait appeared everywhere, from her work place at Libération, next to cafés and offices of major newspapers. This activation aimed to attract the attention of the media and politicians to raise awareness of her situation. This body of work was a defining moment for Blek, who says, “I became aware of my power and responsibility as an artist working in the public space“. That same year, Blek began a series portraying beggars on the street, aiming to shed light on the issue of homelessness. Blek paints the same portrait of a young beggar around the world, from Europe, to the United States to Australia, to challenge authorities, because “sometimes images have a bigger impact than reality“.